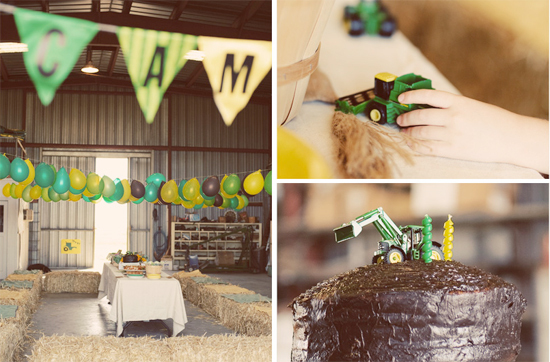 I think this tractor party would be any little (or big) boy's dream! 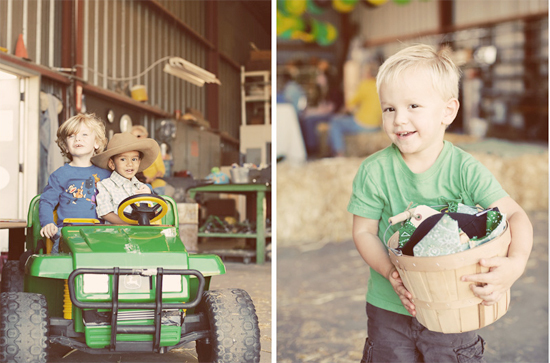 Set on a working farm, with tractor rides and hay bales makes for a fun family celebration. Those old style buckets used for the favours, are a perfect match, don't you think? 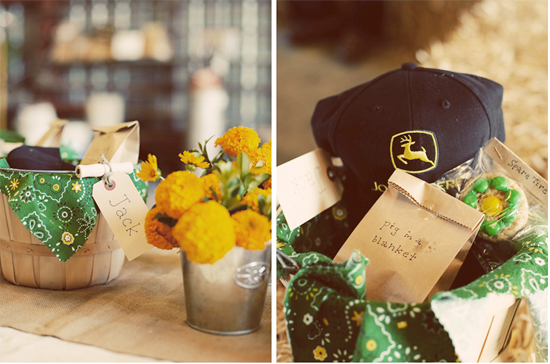 For the favours, each friend was given a pail with their lunch, pint-sized 'John Deere' cap, mini tractor, snacks and treats! Filled to the brim, that little guy looks like he's struggling with all his loot! There are plenty of other stunning photos from this party on the WildInk Press Blog. I know my little guy would love a tractor party....now just for the farm! :: Folding paper never looked so cute!